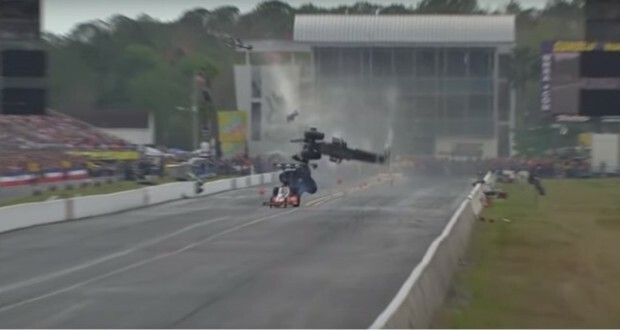 In a very short section below, we get a closer look at how bad the NHRA Drag racing can go. Larry Dixon started down the lane with his Top Fuel dragster when the front end blew up, and then makes the entire vehicle about 300 feet to the front. Fortunately, Dixon walked away from the accident without injury, but it’s a scary accident that shows how fast drag racing can go wrong.